My thoughts on the latest single from PASSPO☆. 2. Party like a Rockstar! I think it would be a more than fair assessment if we were to say that 2017 hasn’t been quite as prolific a year for PASSPO as 2016 was. Granted, it was always going to be hard to follow a year that essentially saw the group breathe new life into itself practically overnight (a change of label helped too). Such a feat of course allows some scope for resting on one’s recent glories but hey man, I’m just here stating the cold hard facts. PASSPO kinda took this year off on the new music front. 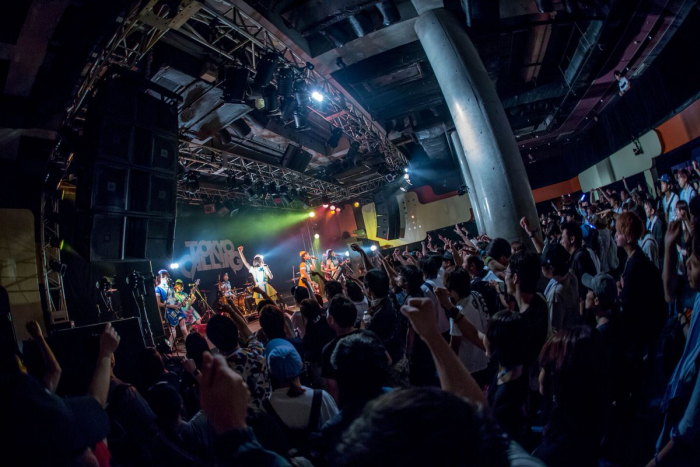 Now don’t misunderstand, PASSPO have of course been quite busy with all of the various personal endeavors each of the members have as well as touring rather extensively. It would also be remiss of me not to acknowledge the fact that they did release a new album by the name of “Cinema Trip” back in February (review here). Naturally a decent chunk of said album was previously release singles and b-sides but there was a handful of new songs too so put the pitchforks down will ya. That being said, the single I am writing about today is PASSPO’s only other release of 2017 as things stand currently. A 7 month layoff between releases isn’t totally uncommon in the Idol game but us selfish fans always demand more and we want it yesterday dammit! I’m pretty confident, given the strength of last year’s musical output that PASSPO will have made the wait more than worthwhile though. Plus they’re also pretty much my favorite non-“Alt Idol” group for the past few years so I might be a teeny tiny bit bias. The a-side for this particular single is “Stand Up Girls! ~Dai 1wa Dame Dame Kaijuu ni Goyoujin~”, which is quite the mouthful. Google tells me this means “Soldier Girls! ~ Episode 1 Beware of Dame Dame monster ~”…heh “No No Monster”. Unsurprisingly the song seems to be all about fighting Kaiju and other such things. Hopefully this makes sense, but this is a very PASSPO PASSPO song. All the usual features are there, powerful vocals, a super catchy chorus, familiar lyric structures. It’s nothing we haven’t really heard before, so anyone hoping for a major change in music direction for whatever reason is going to be disappointed. That said, it’s a really fun and catchy song so what more do you want really? We only have one b-side to talk about, which is fairly typical of PASSPO releases so fair enough. It’s called “Party like a Rockstar!” so we’re two for two on incredible song titles. I don’t know about you guys and I haven’t seen many recent PASSPO performances but this feels like something written for PASSPO to play as a band. There’s some pretty cool little bits of instrumental flair, but if I’m being honest I thought this song was going somewhere and it never ended up getting there. This is pretty much how all PASSPO b-sides go, they either hit it out of the park or they’re pretty middling. It’s still a fun song, but by PASSPO standards this one is missing something. Just an opinion though. Man, I really needed a shorter review to write after that mammoth Zenkimi album review last week (read it here). 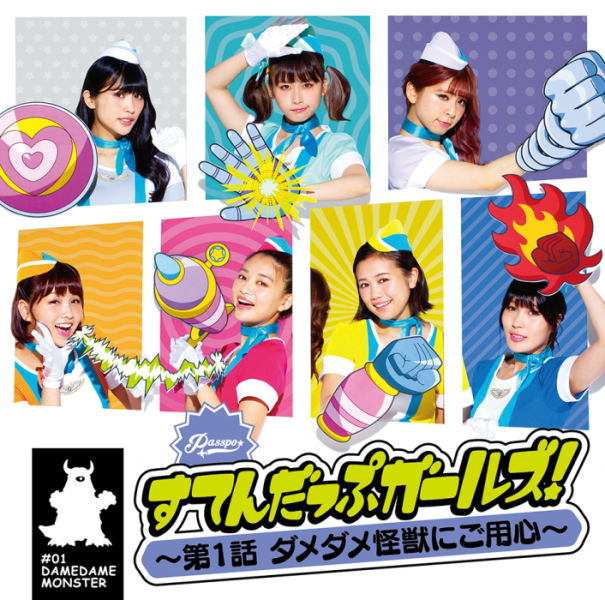 This is another really fun PASSPO single, have I said that enough yet? For me personally, it’s a bit weaker than their 2016 output and I guess I’m mainly talking about the b-side when I say that. It definitely shaved a half point off, for those of you who care about such things. Something tells me this is probably it from PASSPO for 2017. I just don’t see anything else getting announced between now and the end of the year. Considering how underwhelming the 2-3 years before last were though, I think I’m alright with them riding high on what they’ve achieved in the past couple of years for a little bit longer. I’m bias, remember? Buy on Amazon JP: First Class Ver. [CD+DVD] | Business Class Ver. [CD+DVD] | Economy Class Ver. Buy on CDJapan: First Class Ver. [CD+DVD] | Business Class Ver. [CD+DVD] | Economy Class Ver.